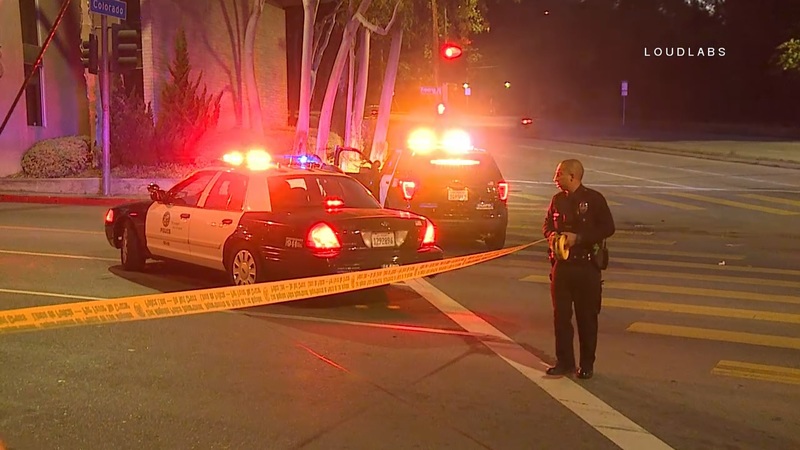 At around 4:15 AM LAPD Northeast Division received a report of shots fired in the vicinity of 7447 N Figueroa St in the Eagle Rock area right next to the Eagle Rock Recreation Center. Upon arrival, officers determined that there were no shots fired, however they did find that multiple explosive devices that may have been large fireworks, exploded nearby. Officers on scene reported that the devices were actually thrown from an overpass (the Colorado St. on/off ramp to the I-134) and onto a homeless encampment below. One of those objects was found not to have properly exploded and the bomb squad was called in as a precaution. The bomb squad safely took the object away at around 6:30AM. No injuries were reported even in the earlier explosions. N Figueroa is currently closed between Colorado St and Eagle Vista Dr while an investigation continues.